Folio. 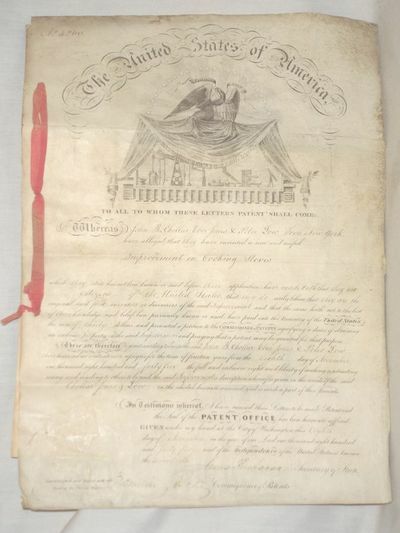 U.S. Patent Signed by James Buchanan (1791-1868) as Secretary of State, and Edmund Burke as Commissioner of Patents) as Commissioner of Patents; Washington, D.C. November 8, 1845. A beautiful one page document on vellum issuing a patent to John B. Chellar, Eber Jones and Peter Low of Troy, New York for a new and useful improvement in Cooking Stoves. Together with 13 1/2" x 10" (ends folded) hand drawn pen-and-ink rendering of the stove, and another 11 3/4" x 15 3/4" manuscript leaf written on both sides, on vellum describing the stove and its mechanisms, signed by the inventors and two witnesses. Some marginal soiling and fold marks. A very nice document bound with re ribbon. Philadelphia, 1791. Folio. Modern three-quarter calf and marbled boards, spine gilt, leather labels. Lightly foxed. Ownership signature of James Hillhouse (1754-1832), a New Haven lawyer and politician who served as a U.S. Congressman and later Senator. Very good. The journal of the Senate recorded during the third session of the first Congress and including its response to a State of the Union address by Washington detailing issues with public credit and the northwest frontier; sundry acts authorizing the President to discharge foreign debts; and "An Act Declaring the Consent of Congress, that a New State be Formed within the Jurisdiction of the Commonwealth of Virginia, and Admitted into this Union by the name of the State of Kentucky." In all, many important issues were settled in the discussions recorded here, and many significant events in the nation's history are treated in depth. London: by Henry Baldwin for Charles Dilly,, 1791. Comprehending an Account of His Studies and Numerous Works, in Chronological Order… The Whole Exhibiting a View of Literature and Literary Men in Great Britain for Near a Century During Which He Flourished. In Two Volumes. 2 volumes, quarto (275 × 215 mm). Contemporary tree calf, rebacked preserving the original flat spines, with red and green morocco labels, wavy-line rolls in gilt, board edges gilt, gilt initials centrally stamped on front boards. Portrait frontispiece engraved by James Heath after Sir Joshua Reynolds, 2 engraved facsimile plates by H. Shepherd. Engraved armorial bookplate "Lister" and small circular stamps of Thore Virgin's Bibliotheca Qvarnforsiana to front pastedowns, Spines neatly rebacked, preserving the original flat gilt spines, corners neatly restored. Some lower edges uncut, occasional pencil side ruling and marginalia; a very good copy. First edition of the most famous biography in any language. The immense task of compiling the thousands of notes Boswell had recorded on "the great man's talk, habits and opinions" was begun after Johnson's death in 1784. Made up of trifling incidents as well as the significant events in Johnson's life, the work remains a masterpiece of portraiture. "Homer is not more decidedly the first of heroic poets, Shakespeare is not more decidedly the first of dramatists, Demosthenes is not more decidedly the first of orators, than Boswell is the first of biographers" (Macaulay). Boswell's reputation was further enhanced by the discovery in the early part of the 20th century of the Boswell Papers, which were stored in the Malahide Castle of Ireland for generations. What resulted from this discovery was the revelation of Boswell as an extraordinary personality in his own right; a far more complex, eccentric genius than the mere recorder of Johnson's conversations. This copy has p. 135, vol. 1, in the corrected state, reading "give". This is not an issue point for the whole book; some copies read "gve", but the correction was made in the press, and 1,750 copies with either state were available on publication day, 16 May 1791 (800 were sold in the first two weeks). Philadelphia, 1791. Contemporary tree calf, spine ruled in gilt and with gilt morocco label. Binding rubbed, joints worn, chipped at head of spine. Frontispiece creased. One plate with a two- inch long vertical closed tear and with a small chip in the upper margin, above the neat line; folding plate torn in upper margin, not affecting the illustration. Several instances of early ink marginalia, almost certainly in the hand of Lawrence Washington (see below). Text tanned, with occasional staining and foxing. A good copy. In a half morocco box. The rare first edition of one of the classic accounts of southern natural history and exploration, with much material on the southern Indian tribes. This copy bears the ownership signature on the front free endpaper of Lawrence A. Washington (dated 1818), the nephew of George Washington. Lawrence Augustine Washington, (1775-1824), was the fourth son of George Washington's younger brother, Samuel. When Samuel Washington died in 1781, the future president took it upon himself to provide for the education of his nephew, Lawrence, and for Lawrence's older brother, George Steptoe Washington. Throughout the 1780s and early 1790s, Washington supervised and paid for their education in Alexandria, Virginia, and then at the University of Pennsylvania in Philadelphia, from which the two nephews graduated in 1792. While in Philadelphia, Lawrence Washington also studied law with Attorney General Edmund Randolph. He married Mary Dorcas Wood in 1797 and lived at Federal Hill, outside Winchester, Virginia. At George Washington's death Lawrence and his brother, George, were absolved of all debts for their schooling, a sum of approximately five thousand dollars. George Washington also left his nephews a small portion of his estate in his will. For the period, Bartram's work is unrivalled. He travelled several thousand miles through the Southeast in the years just prior to the American Revolution. "...Bartram wrote with all the enthusiasm and interest with which the fervent old Spanish friars and missionaries narrated the wonders of the new found world...he neglected nothing which would add to the common stock of human knowledge" - Field. "Unequalled for the vivid picturesqueness of its descriptions of nature, scenery, and productions" - Sabin. "The classic of southern natural history and exploration, with much on the southern Indian tribes. Bartram's account of the remote frontier, of the plantations, trading posts, and Indian villages at the end of the eighteenth century is unrivaled" - Streeter. Includes a chapter concerning the customs and language of the Muscogulges and Cherokees. Paris, 1791. Contemporary blue wrappers. Some light chipping and staining to wrappers. Scattered foxing. Very good. The first Paris edition of COMMON SENSE..., translated into French by Antoine G. Griffet de Labaume. 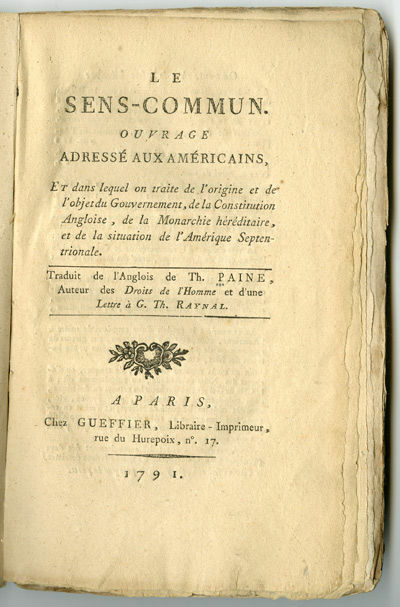 The earliest publication of COMMON SENSE... on the Continent, at least in separate form, was an anonymous French translation published at Rotterdam in 1777; this is the next edition in French, and the first published in France. The work was written by Paine in response to the Battle of Lexington in 1775, calling not merely for a revolt against taxation, but demanding independence. Its message was no doubt as inspiring to the revolutionaries of France as it had been in America. 1791. A Cautionary Tale for "Young Gentlemen" [Trial]. Cork, Edmund Boyle, Earl of [1767-1856], Defendant. 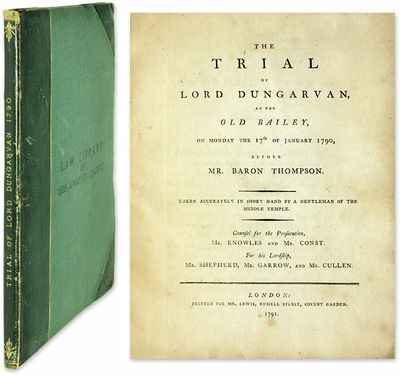 The Trial of Lord Dungarvan, At the Old Bailey, On Monday the 17th of January 1790, Before Mr. Baron Thompson. Taken Accurately in Short Hand by a Gentleman of the Middle Temple. Counsel for the Prosecution, Mr. Knowles and Mr. Const. For his Lordship, Mr. Shepherd, Mr. Garrow, and Mr. Cullen. London: Printed for Mr. Lewis, 1791. , ii, -38,  pp. Includes two-page publisher catalogue. Copperplate portrait frontispiece. Quarto (10" x 8"). Recent three-quarter morocco over cloth, gilt rules to boards, gilt title to spine, untrimmed edges. Moderate rubbing to extremities, some toning to text, light soiling to half-title, which has an owner signature (of William Owen, Trinity College) dated 1794, repairs to corners and fore-edge of frontispiece. Ex-library. Stamps to boards and free endpapers, bookplate to front pastedown. A solid copy of a rare title. * Only edition. The frontispiece depicts Elizabeth Weldon, the prostitute who initiated the suit. In an attempt to extort money, she threatened Boyle, also known as Viscount Dungarvan due to his Irish properties, with a bogus lawsuit. She said she would claim he took money from her clothing after he purchased her services. However, Cork called her bluff and eventually prevailed in court. Clearly a salacious case, it is presented here as a cautionary tale for "young gentlemen, whose levity may bring them into a familiar situation..." The reporter warns that it "may not always be in the power, even of a man of fashion, to refute the plausible tale of an artful woman, (although a prostitute.) It may not always happen that an innocent defendant shall have the same circumstances to protect his honour, as my Lord Dungarvan" (ii). OCLC locates 2 copies, both in law libraries (Columbia, Harvard). English Short-Title Catalogue N013878. Quebec, 1791. [with:] SUPPLEMENT...Num. 1333. [with:] SUPPLEMENT... Num. 1334. [with:] SUPPLEMENT...Num. 1335. Folio. Printed in double-column format in parallel English and French. Slightly ragged on left margin, else very good. 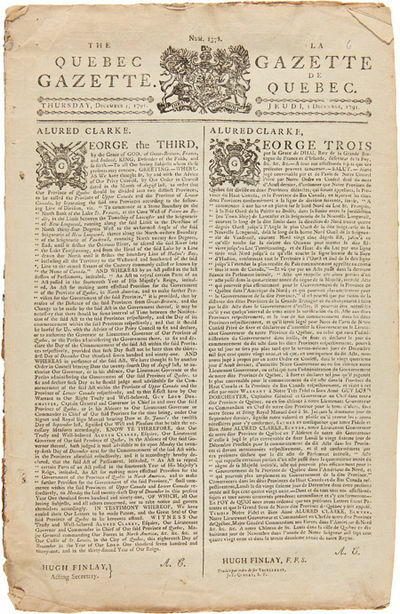 This extraordinary series of supplements to the QUEBEC GAZETTE demonstrates the extent to which feeling for the French Revolution had permeated the French population of Canada, and the degree to which the British government was prepared to tolerate the expression of such Revolutionary sentiments. Most of the text of each issue (all of the first two and part of the third and fourth) is devoted to a long "Scheme of a Constitution," extracted from a late French publication entitled "Les Actes des Apotres." While recognizing monarchy as the necessary executive branch, the text calls for a balance of power between the courts, legislatures, and executive. A surprising and interesting series to find published in Canada at this time, in the same year that the Constitutional Act granted the first representative government to Canada. Not listed separately by Tremaine, nor are supplements recorded in the appendix devoted to the ...GAZETTE; however, she notes two runs which include "almost all" of the supplements. Recueil De Cartes Geographiques, Plans Vues et Medailles De L`Ancienne Grèce, Relatifs Au Voyage Du Jeune Anacharsis, Precedé D`Une Analyse Critique Des Cartes. New Haven, 1791. Half title. Dbd. Light tanning, an occasional fox mark. Good. An important early American abolitionist tract. An anti- slavery society had been formed in Connecticut in 1790, and the state was in the midst of outlawing the institution altogether at the time. Ezra Stiles, president of Yale University and a former slave owner himself, was president of the Connecticut Society for the Promotion of Freedom. Dana uses the Epistle to the Galatians as his starting point, but eventually goes into great detail on the history of the slave trade in the New World, dating back to the 16th century. Statistical tables give the number of slaves in the United States in 1790, and also the amounts of slaves imported yearly throughout the 18th century. 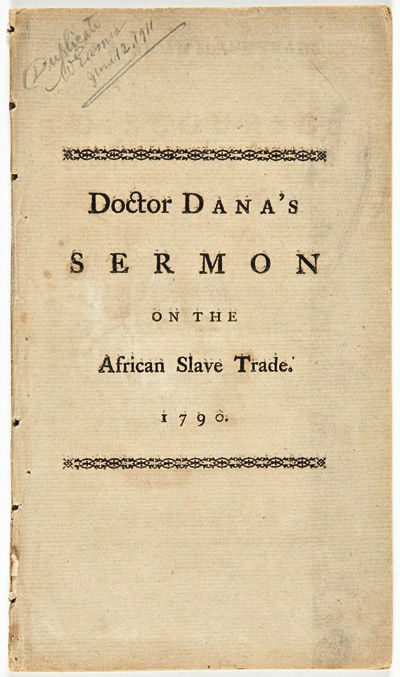 Dana puts forth Christian reasons and the ideal of the American Revolution in his call for abolition: "Those who profess to understand and regard the principles of liberty should cheerfully unite to abolish slavery." Dana was then the pastor of the First Congregational Church of New Haven, and had a long and distinguished career in the clergy. This is The New York Public Library duplicate copy of this sermon, with their ink stamp on the verso of the titlepage and a pencil note in the hand of Wilberforce Eames, then "Chief of the American History Division," on the half title. Das Ganze der Rindviehzucht. / Oekonomische Abhandlung von der Schweinszucht. / Die Angorische oder Englische Kaninchenzucht in Teutschland. - 3 Bände in einem Band. Neuwied u.a. 1791-94. - Kl.-8°. Hld. d. Zt. m. Rückenschild u. Rvg. Einband beschabt. Kaiptale etwas beschädigt. Rücken oben m. kl. Fehlstelle. Ecken bestoßen. Rotschnitt. Vorsatz fleckig. Notiz a. V. Exlibris. Papier leicht gebräunt u. teils etwas fleckig. Zu 1: Neuwied, Gehra 1794. Frontispiz, 180 S., 2 Bl. VD 18, 1168609X. Zu 2: Neuwied, Gehra 1791. 174 S. Nicht im VD 18. Ähnlicher Titel "Buri: Die Bastille" VD 18, 11694793. Zu 3: (Frankfurt), im May 1793. 16 S. Vgl. VD 18, 14395347 Zu 4: (Frankfurt), Heumonat 1793. 16 S. Vgl. VD 18, 14395347. Zu 5: Aachen, Wieger 1793. 56 S. Nicht im VD 18. Zu 6: O.O. 1793. 8 Bll. Nicht im VD 18. Zu 7: Augsburg, März 1793. 32 S. Nicht im VD 18. Zu 8: O.O. 1793. 8 Bll. Nicht im VD 18. Zu 9: Frankfurt 1793. 4 Bll. VD 18, 14822725-008 Zu 10: O.O. 2 Bll. Nicht im VD 18. Zu 11: O.O. 1793. 4 Bll. Nicht im VD 18. Zu 12: Köln, Evergerts (1793). Frontispiz, 142 S. Nicht im VD 18. Zu 13: Frankfurt 1793. 46 S. Nicht im VD 18. Zu 14: O.O. u. o.J. 36 S. Nicht im VD 18. Zu 15: O.O. 1793. 4 Bll. Nicht im VD 18. 1791. Tobacco Smuggling. Tobacco Smugglers [Carandi (Carandini), Prospero]. Replica a Difesa di Giuseppe Felici, Francesco Salada, E Santino Menconi Nella Causa di Preteso Contrabbando di Tabacco Pendente in Grado di Revisione Avanti Gl'Illustrissimi Signori Consiglieri Co: Pompeo Baldasseroni, Giuseppe Simonini, E Francesco Ansaloni. Modena: Presso la Societa' Tipografica, 1791. 37 pp. Folio (11-1/4" x 7-1/2"). Recent stiff wrappers, endpapers renewed. Large woodcut title-page device, large woodcut vignette to head of p. 1. Light toning to text, internally clean. $950. * Only edition. Defense submission for an appeal involving three men convicted of smuggling tobacco in a suit initiated by the licensed tobacco contractor Massa and Carrara. The arguments are erudite and learned; there are citations to Bartolus and Alberico de Rosate, for example, and, on p. 33, a eight-line quotation from Virgil. No copies located on OCLC. 1791. A Cautionary Tale for "Young Gentlemen" [Trial]. Cork, Edmund Boyle, Earl of [1767-1856], Defendant. The Trial of Lord Dungarvan, At the Old Bailey, On Monday the 17th of January 1790, Before Mr. Baron Thompson. Taken Accurately in Short Hand by a Gentleman of the Middle Temple. Counsel for the Prosecution, Mr. Knowles and Mr. Const. For his Lordship, Mr. Shepherd, Mr. Garrow, and Mr. Cullen. London: Printed for Mr. Lewis, 1791. , ii, -38,  pp. Includes two-page publisher catalogue. Copperplate portrait frontispiece. Quarto (10" x 8"). Recent three-quarter morocco over cloth, gilt rules to boards, gilt title to spine, untrimmed edges. 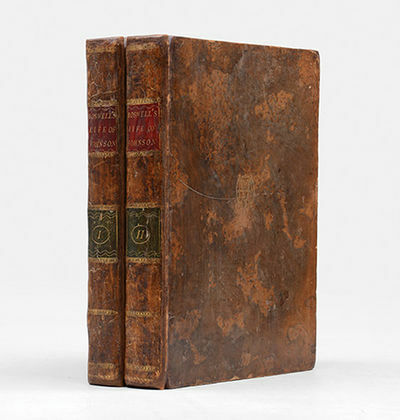 Moderate rubbing to extremities, some toning to text, light soiling to half-title, which has an owner signature (of William Owen, Trinity College) dated 1794, repairs to corners and fore-edge of frontispiece. Ex-library. Stamps to boards and free endpapers, bookplate to front pastedown. A solid copy of a rare title. $1,500. * Only edition. The frontispiece depicts Elizabeth Weldon, the prostitute who initiated the suit. In an attempt to extort money, she threatened Boyle, also known as Viscount Dungarvan due to his Irish properties, with a bogus lawsuit. She said she would claim he took money from her clothing after he purchased her services. However, Cork called her bluff and eventually prevailed in court. Clearly a salacious case, it is presented here as a cautionary tale for "young gentlemen, whose levity may bring them into a familiar situation..." The reporter warns that it "may not always be in the power, even of a man of fashion, to refute the plausible tale of an artful woman, (although a prostitute.) It may not always happen that an innocent defendant shall have the same circumstances to protect his honour, as my Lord Dungarvan" (ii). OCLC locates 2 copies, both in law libraries (Columbia, Harvard). English Short-Title Catalogue N013878. [Philadelphia, 1791. Dbd. Near fine. In a cloth clamshell case, leather label. "Approved, March the third, 1791." 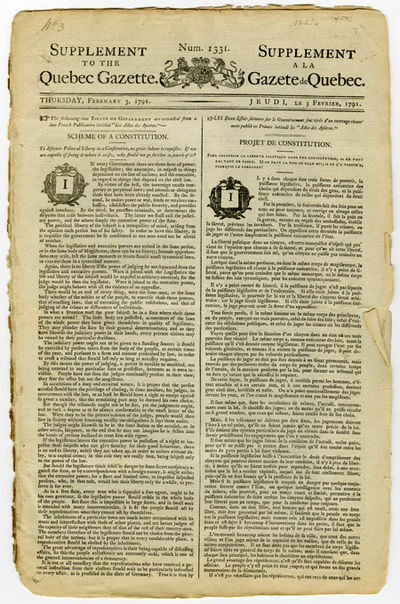 This rare official printing of a law passed by the third session of the First Congress amends the law passed in the second session creating the District of Columbia. It allows the President to adjust the position of the District along the Potomac, and so set its final position. The law allowed Washington to move the district slightly downstream, so as to include Alexandria and "a convenient part of the Eastern Branch." This had the net effect of including more Virginia land, but the act specifies that all public buildings had to stay on the Maryland side. 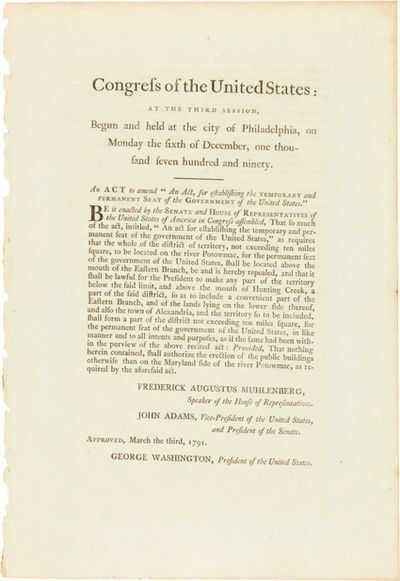 Signed in print by Speaker of the House Frederick Augustus Muhlenberg, John Adams, and George Washington. NAIP and OCLC together record four copies, at the American Antiquarian Society, the Massachusetts Historical Society, the New York Public Library, and the Library of Congress. London: Printed for the Author; and sold by Robson et al., 1791. FIRST EDITION n. Hardcover. 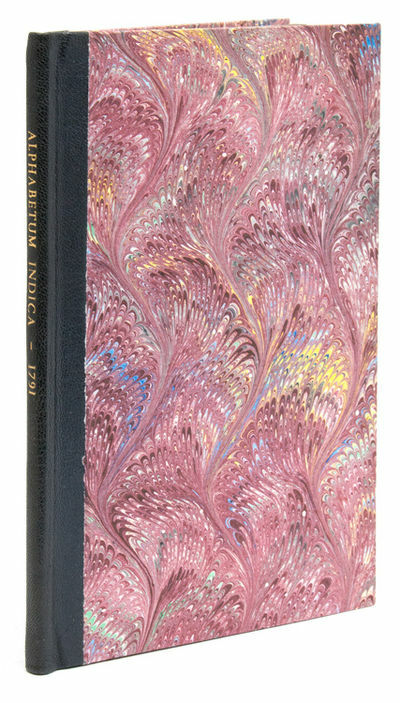 A Spectacular Copy in Original Condition of an Account of Indian Life after American Independence. 302 x 235 mm mm (14 3/4 x 9 1/4"). 1 p.l., x pp.,  leaf (errata), 295,  pp. FIRST EDITION. ORIGINAL BLUE PAPER BOARDS with tan paper spine, UNTRIMMED AND UNOPENED. With a folding map of "western" Canada, showing the Great Lakes region. Front pastedown with the bookplate of William Adair, Esq. ; faint oval stamp to verso of map. Streeter sale VI, 3651; Graff 2527; Lande 1289; Howes L-443; Sabin 41878. Faint scuffs to the spine, a couple of small stains to boards, corners a bit bumped, faint offsetting from map onto title page, a couple of insignificant tears, but AN OUTSTANDING UNSOPHISTICATED COPY, in as close to original condition as one could possibly hope to find. Written shortly after American independence and in the heyday of the Hudson's Bay Company, this work is valuable for its account of frontier life and the fur trade, and for what the "Dictionary of Canadian Biography" calls its "detailed and relatively unbiased descriptions of Indian life." Sabin describes this work as a source of "valuable linguistics," with its extensive section on Native American language occupying a full third of the book. Long came to Canada from England in 1768 to learn the fur trade, and spent the next 15 years engaged in that enterprise. Especially good with languages, he became fluent in the Mohawk and Ojibwa tongues, and his vocabularies of words from various First Nations' languages are one of the most significant parts of this book. 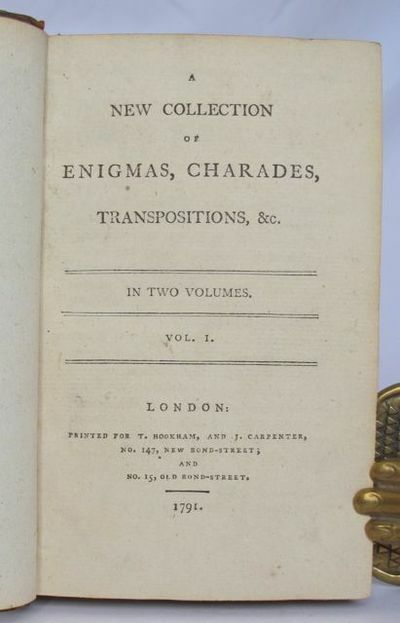 He returned to England in the autumn of 1787 and published this work in 1791, after which time no more is known of him. From the beginning, "Voyages and Travels" was considered to be of importance, being translated into German in 1791 and into French in 1794. 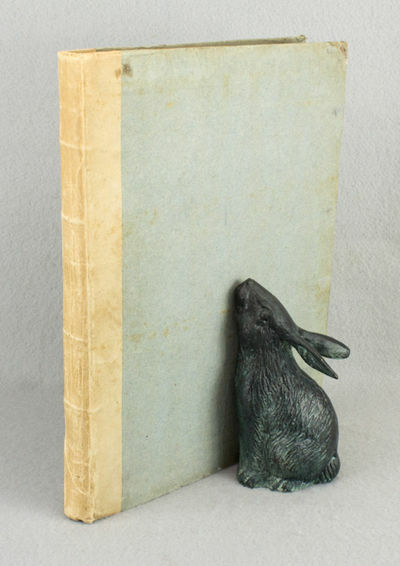 Although copies in the original boards occasionally appear on the market, this unopened copy is in unusually fine condition both inside and out, with an extraordinarily well-preserved binding and obviously unread text. 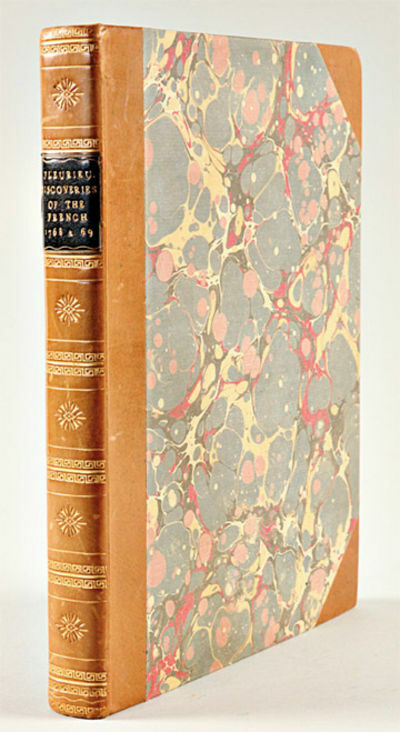 Paris Chez Prault, Imprimeur du Roi 1791 - Cox I, 392; Gay 284; Grandidier 4285; Streit 6457a A very good copy bound in contemporary half calf, marbled boards. First edition, pp.lxiv, 322, large folding map. Paris, 1791. Modern half morocco and marbled boards, spine richly gilt. Small hole in titlepage, repaired with tissue, a couple instances of very minor light foxing. Manuscript correction to two lines on one page. Near fine, untrimmed. 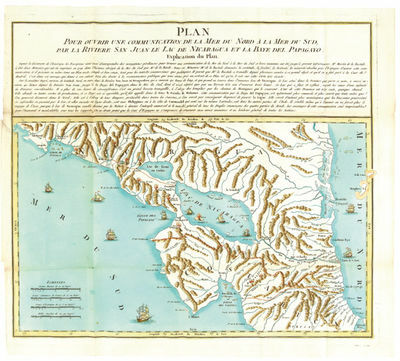 A rare and exceptionally early plan for building a canal across the Isthmus of Darien, thereby connecting the Atlantic and Pacific oceans, and containing a fabulous map of the region. From the earliest attempts to find a northwest passage, the desire to find a sea route across the Americas, thereby linking Europe with Asia, had been a long-standing goal. This text is one of the earliest proposals for a water route across Nicaragua, a route that was considered a viable option until the construction of the Panama Canal in the early 20th century. Bastide explains in great detail the feasibility and course of the route, and the great advantages that it would give to France. It would aid trade with French colonies in the Pacific, and on the west coast of the Americas, and with Asia. It would also help the French keep an eye on British and Spanish activities in the Pacific Northwest, as those two nations had just settled many of the controversial issues regarding Nootka Sound. The beautiful large folding map (usually lacking) in this copy has striking contemporary color, and shows Nicaragua between the ninth and thirteenth parallels, giving a clear depiction of the proposed route across the river San Juan, into Lake Nicaragua, and then across another small body of land and into the "Golfe de Papagayo." The map is a fine cartographic representation of the region, showing the river systems and mountain ranges, as well as significant cities and volcanoes. This title is not in Palau. A most interesting document, both as an example of a very early scheme to build a trans-isthmian canal, and as a French strategy to secure geopolitical advantage in the Americas, vis a vis Great Britain and Spain. London: Printed by A. Strahan and W. Woodfall, Law-Printers to the King's Most Excellent Majesty; For T. Cadell, in the Strand, 1791. The Eleventh Edition. Leather bound. 485; 520; (xix); 455; (xxvii); 443; (vi)pp. 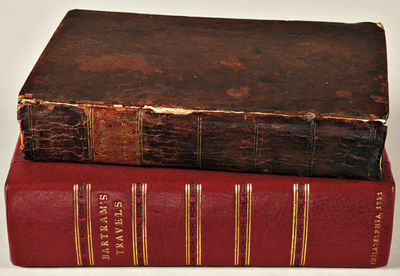 Octavo [21.5 cm] The books have been rebacked with later brown leather and black and red gilt stamped leather spine labels, the edges and corners of the covers restored with the same brown leather, and the majority of the original leather of the boards overlaid. With a frontispiece portrait in volume 1 of William Blackstone printed by Gainsborough. Good condition. The extremities are rubbed, and the underlying boards are exposed occasionally at the corners of the covers. There are sporadic chips in the leather at the heads of the spines. 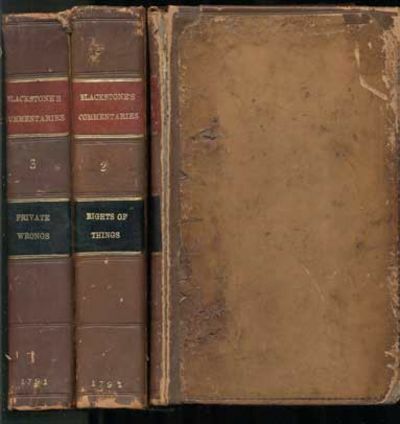 The front cover of volume 1 is nearly detached, and the front cover and front free endsheet and flyleaf of volume 3 are completely detached, but present. There are inscriptions from previous owner's, both contemporary and early twentieth-century, on the endsheets and title pages. There are faint tide marks in the margins here and there, but the majority of the pages are very bright. With the fold-out Table of Descents at p. 241 in volume 2. An eleventh edition of William Blackstone's famous work, a work which presented the English common law as a unified and rational system. London: J. Johnson, Printer, 1791. Full calf leather. xvi, iv, 5-512; xii, iv, 5-455; xv, v-ix, 457-768 plus index. A later printing of this key work by British philosopher, explaining his theories on the mind-body connection, including his doctrines of vibrations and associations, the formation and growth of consciousness, etc. With a third volume containing notes and commentary on the work by Herman Pistorius. David Hartley, as well as being a British philosopher, was the founder of the Associationist School of Psychology. GOOD condition, ex-library, from a theological institution. Spine labels, bookplates and minor library markings in the interiors of all three books. Front hinge of volume one cracked and split along the entire length, with the front cover tenuously attached. Leather splitting along the other hinges in, but covers more solid. Minor scuffing, uneven darkening and fading to the covers. Extremities scuffed and bumped. Spines very darkened. Minor scattered foxing and spotting in the interior. Notes in ink on a front endpaper of the first volume by previous owner. . Full Leather. Good. Ex-Library. Die Grafschaft Mark gezeichnet von Friederich Christoph Müller Prediger zu Schwelm und Mitglied der Kön. Preuss. Academie der Wissenschaften herausgegeben von P.F. Weddigen 1791. - Frentzel Sc.':. Grundsaetze der Aesthetik deren Anwendung und künftige Entwickelung. TA., Steintorturm und Jacobsbrücke, "Vue de Brandenbourg. Dédiée à Son Altesse Sérénissime Madame Louise. Duchesse Regnante de Mecklenbourg - Schwerin & Princesse de Saxe - Gotha etc, etc.". - altkol. Umrißkupferstich n. Nagel b. Morino & Company, dat. 1791, 23 x 32,2 Oben rechts mit Nummer "XXVI" bezeichnet. Prospetto storico, politico e apologetico del governo della Valtellina e delle sue costituzioni fondamentali. s.n. 1791 In - 8° (cm. 21,7), graziosissima brossura floreale coeva; pp. XVI, 287, [1 b.] in ottimo stato e soffici, fresche, in barbe, con vignetta al front., deliziosa testatina e capolettera in xilografia; la sola carta I8 strappata con perdita di buona parte del testo, altrimenti superbo esemplare. Edizione originale e rara della famosa opera storiografica del De Simoni, insigne giureconsulto bormiese. «In quella che è a tutti gli effetti una descrizione delle vicende costituzionali d'antico regime [..], De Simoni sottolinea e riconosce la storicità e perenne imperfezione delle Costituzioni» [Mozzarelli in Le Alpi per l'Europa, una proposta politica. Editoriale Jaca Book 1988, p. 314]. Cfr. Parenti 208. Landschaftsansicht, "Gegend der Stadt Schmideberg nach Landshut in Schlesien.". - altkol. Umrißkupferstich v. D. Berger n. Reinhardt, dat. 1791, 27 x 40 Daniel Berger ( 1744 - 1824, Kupferstecher in Berlin ) stach Riesengebirgsmotive nach Bildern von Carl Christoph Reinhardt ( 1733 - 1827 ). - Das Blatt ist altgerahmt ( Goldrahmen mit Schrägschnittpassepartout ). Abbildungen und Beschreibungen einiger Misgeburten, die sich ehemals auf dem anatomischen Theater zu Cassel befanden. La Province d' Alsace divisée en Territoires et Seigneuries suivant son ancienne Constitution germanique. Tracée et corrigée sur la grande Carte academique de Paris publiée en 1745. - Gravée par Iean Mayr, Graveur en Lettres et Imprimeur en Cuive à Ratisbonne. 1791. - Theatrum Praetensionum. - Sumptibus Lud. de Winkellmann ad Comitia S.R. Imp. Legati Civit. Col. 1791.':. Berlin, Rottmann 1791.. Mit gest. Vignette auf dem zweiten Titel und 6 (1 teilkolor.) gefalt. Kupfertafeln. 1 Bl., XIV, 102 S. Hübscher HLdr. d. Zt. mit goldgepr. Rückentitel. Poggendorff II, 641; Schuh, Bibliography of Mineralogy: "Very scarce". 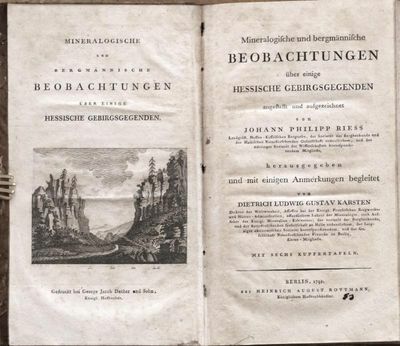 - Der früh verstorbene Johann Philipp Riess (1751-1794) gilt als der bedeutendste Geologe, der aus dem Kasseler Collegium Carolinum hervorgegangen ist. Die vorliegende Veröffentlichung enthält die erste geologische Karte Niederhessens, die mit farbigen Flächen die Vorkommen der wichtigsten Mineralien ausweist. - Etwas berieben. Tls. gebräunt bzw. braunfleckig. Insgesamt recht gutes Exemplar! Voyage sur le Rhin, depuis Mayence jusqu?a Dusseldorf. Tome premier (seul, de 2). à Neuwied, chez la société Typographique, 1791, - in-8vo, 180 p. + 1 carte dépl. (cours du Rhin de Cöntgen à Mainz) + 4 vues dépl. (Vue de Mayence - J.D. Cranz sculp. 1790 / Vüe en perspective de l?Hotel de la grande Prevote de Mayence Executée d?après les dessins de M. Mangin Architecte - le Chv de Nicéville sculp. / Vue de Coblenz / Vue de Neuwied), reliure en d.-basane originale. Reliure usée. Les gravures sur cuivre avec pts déchirures et faux plis, mais sans manque.4 mehrf. gefalt. gest. Ansichten nach J. D. Cranz u. 1 mehrf. gefalt. Kst.- Karte von Cöntgen ( Rheinlauf ). Barbier u. Holzmann - Bohatta nennen den Übersetzer ( A. L. B. Robineau gen. de Beaunoir ) als Verfasser. - Erste ( illustrierte ) französische Ausgabe. - Gegenüber der erstmals 1789/90 veröffentlichten "Reise auf dem Rhein" von Joseph Gregor Lang ist die Illustrierung mit 11 Kupferstichen neu (in Bd. 1 u. 2). Die Rheinlaufkarte von Cöntgen ist dagegen übernommen ( s. Schmitt ). - Die interessanten, relativ großformatigen ( bis 17,5 x 31,5 cm ) Ansichten in schönen Drucken zeigen: Koblenz, Mainz (2x), Neuwied mit Siebengebirge.Please notify before visiting to see a book. Prices are excl. VAT/TVA (only Switzerland) & postage. Zeelands Chronyk, Verkort. Gesteld, tot dienst van de Jeugd, in Vragen en Antwoorden. WITH: Zeelands Chronyk Verkort. 1792. WITH: Mengelingen. London, 1791. Quarto. 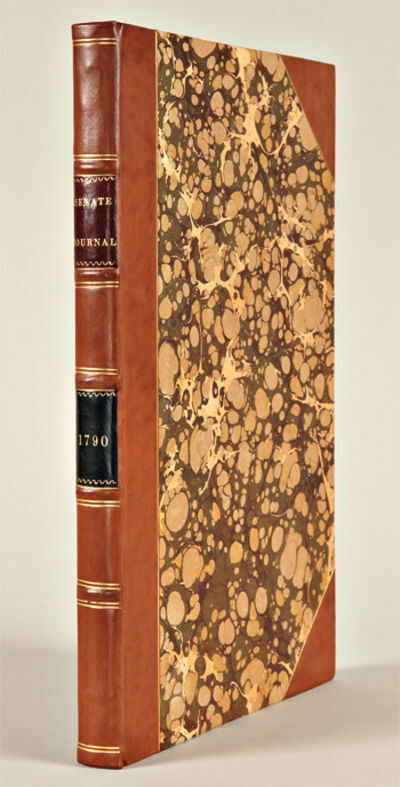 Modern three-quarter speckled calf and marbled boards, spine richly gilt, gilt morocco label. Offsetting from the maps, some slight age toning, but a handsome, very good copy. First English edition, following the French edition of the previous year. Writing during a period of intense international rivalry over discoveries in the Pacific, Fleurieu (a French politician and scientist) promotes the discoveries of Bougainville and Jean de Surville at the expense of British claims, though he does acknowledge some of Captain Cook's discoveries. To bolster his claims for the French, Fleurieu uses unpublished manuscripts, as well as the printed accounts of several Spanish and British navigators. An appendix prints Buache's "Extract from a memoir concerning the existence and situation of Solomon's Islands...." The twelve folding maps and plates relate to New Guinea and the Solomon Islands. "The maps are interesting, since they were based both on actual discoveries and on Fleurieu's theories. When d'Entrecasteaux returned from his fruitless search for La Perouse, he confirmed that Fleurieu's theories appeared to be generally correct" - Hill. [colophon: Mexico: No publisher/printer Folio extra (42 cm; 16.5"). 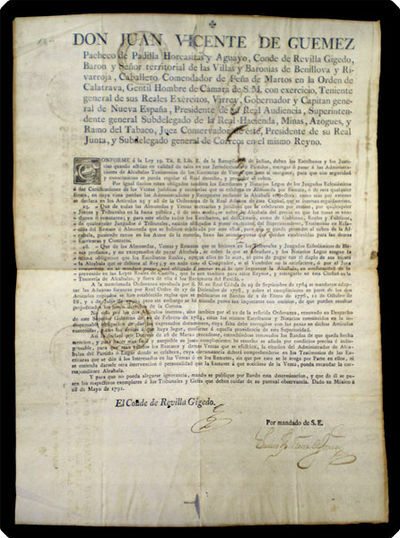 p.. 28 May 1791] Viceroy Revillagigedo is put out that the notaries are not obeying the law and respecting the various quasi-legal reminders of their duty and obligation to notify the sales tax authorities of all sales and transfers of property that they record and certify. The viceroy now requires that all notarial documents involving sales or transfers of property or auctions must include a certification by a sales tax official in order to be valid. WorldCat finds only the copy at the National Library of Chile. Folded and a little dog-eared; four instances of worming, two meander-type holes repaired. With manuscript certifications on verso that the document has been recorded in the official acts of three different towns. A view of the Loss of the Rhone. Vue de la Perte du Rhône, sur le chemin de Lyon à Genève, à quelques lieues de l?Ecluse. Tirage en bistre, qqs restaurations dans les (grandes) marges. London, Molteno, Colnaghi & Cie, 1791, - 58.7 x 88 cm (Feuille), Louis Belanger Le Romain pinxt. A view of the Loss of the Rhône. Vue de la Perte du Rhone./ M Catherine Prestel sculp./ To the RIGHT HON BLE the EARL OF EXETER/ This Plate is humbly dedicated by his Lordships most obliged & humble Serv.s/ Molteno Colnaghi & C °/ London Pub.d as the Act directs May 1 1791 by Molteno Colnaghi & C° N° 132 Pall Mall. montée sur toile récent (67.3x 97.7 cm). Dem Druck wurde eine lange in Englisch und Französisch verfasste Inschrift zugefügt: On the road between Lyons and Geneva, within a six miles from l'Ecluse, drawn from the level of the rocks of the Gulph. & also of the famous Oak shaken from the perpendicular/ rocks at the left of the highway. After descending by a ladder placed on the side of the road, one has the full prospect. The fall of this Tree was occasioned by a terrible storm, followd/ by a melting of the snow, which rushing thro the grotto of the Arveron has swell'd the torrent of the Arve near Chamouny & on the left are seen the fragments of a bridge that was swept away by the torrent, on the opposite side of it some peasants are busy in extracting granites containing small parts of gold, which are rolled down by the training of the water. This Tree, that parts France from Savoy & serves to travellers in lieu of a Bridge, is in a manner an object of veneration to the peasants, who keep it up with great care, they have formed on it trails made out of the boughs, & the Tree is fastend by iron chains to prevent its being taken up by its own weight. -------------------------- . ------------------------Sur le chemin de Lyon à Genève, à quelques lieues de l?Ecluse, prise au niveau des roches du gouffre et du fameux chêne écroulé, des roches à pic à la gauche du grand chemin./ Il faut descendre par une echelle posée au bord de la on découvre le point de vue. La chute de cet arbre fut causée par un orage furieux suivi d?une fonte des neiges/ qui en débouchant par la grotte de l'Arveron, a enflé le torrent de l' Arve près de Chamouny; et on voit sur la gauche du tableau les fragments d'un pont que ce torrent a/ entrainé dans son cours du bord opposé des paysans tirent des pierres de granit auxquelles tiennent de petites parcelles d'or que l'eau, en filtrant, amène fréquemment/ En cet endroit. Cet arbre qui sépare la France de la Savoye et sert de pont aux Voyageurs est, en quelque sorte, l?objet de la vénération des paysants qui l'entretiennent avec beaucoup/ des soins. Ils y ont pratiqué un garde-fou formé des branches mêmes et l?arbre est soutenu par des chaînes de fer pour l'empêcher d?être déraciné par son propre poids./ Peint d'après nature par Loui Belanger Le Romain./ This Plate is humbly dedicated by his Lordships most obliged & huble serv.ts Moteno, Colnaghi & C°. Please notify before visiting to see a book. Prices are excl. VAT/TVA (only Switzerland) & postage. Claudia Schwaighofer. Das druckgraphische Werk der Maria Catharina Prestel (1747?1794) - Werkverzeichnis - N° 3; Le Blanc 1887, Bd. 3, S. 251, Nr. 61; Nagler 1835 ff., Bd. 13, S. 266, Nr. 61. Quebec, 1791. Folio. Dbd. Slight wrinkling and browning at edges, but very good. In a blue cloth folder, gilt leather label. The first and official Canadian printing of the Constitutional Act of 1791, by which Canada received representative government, Upper and Lower Canada were divided into two separate political entities, and the rights of the French inhabitants of Quebec were confirmed. After the loss of the other American colonies, Great Britain found the remaining colony of Canada in turmoil. The influx of Loyalists brought political and economic disruption. The home government was determined to learn from its mistakes, and set out to devise a system of government for Canada (which had been run as a military despotism since 1763) that would conciliate its inhabitants and keep them loyal to the British government. The Canada or Constitutional Act, as it generally became known, was drafted by William Pitt and his ministers and was seen through Parliament in early 1791, final passage occurring on June 10. It was scheduled to take effect at the end of the year. The most controversial part of the Constitutional Act was its division of the colony into Upper and Lower Canada. The Lower section comprised Quebec, Montreal, and the predominantly French part of the colony; and the Upper part consisted of the western, mainly British, part of the territory. This division has reverberated in Canadian politics to this day. By far the most important aspect of the Act was the creation of representative government. Thirty-two of the fifty sections of the Act relate to this, creating legislative councils and assemblies (upper and lower houses) for both Upper and Lower Canada. This was the first representative government in Canada, and the first occasion on which the British Parliament surrendered specific powers to local government - the precursor for all later Commonwealth developments. Besides these provisions, the Constitutional Act also provided guarantees against the imposition of outside duties, such as had been catalysts for the American Revolution. It protected the rights of the French citizens in their religion and forms of land tenure. In every way it sought to conciliate - the opposite of the policy of two decades earlier towards the more southern colonies. This is the first publication in Canada of the Constitutional Act, issued one month before it was to become law. It was issued as a special number of the QUEBEC GAZETTE, containing the proclamation of Lieut.- Gov. Allured Clark regarding the date the bill would take effect, the Order in Council authorizing the division between Upper and Lower Canada, the text of the Constitutional Act, and some lines of errata. The entire text is printed in double columns in parallel English and French. Marie Tremaine, the bibliographer of early Canadian imprints, locates six copies of this printing. In addition, we note the copy in the Lande Collection at McGill. Of the greatest importance for Canadian history. Paris, 3. XI. 1791. - Folio. 1 p. To the "Trésorier Général de ma Liste civile", Jean-Baptiste Tourteau de Septeuil (1753-1812), instructing him to pay 200 Livres to the "Concierge de mon Chateau de Compiégne" S. Pascal. - At the time of writing, Louis XVI was already de facto a prisoner. In December he refused to sign a bill creating a State Church (not recognized by the Pope or the King), his end drew near: after the siege of the Tuileries in August 1792, he was arrested; he was guillotined in January 1793, and his wife Marie Antoinette in October. - Some edge wear; paper defects; one large, reinforced tear. Marie Antoinette, Queen of France and of Navarre (1755-1793). Paris, 31. I. 1791. - Folio. ½ p. With address. Thanking her cousin, Prince Altiéri, for New Year's wishes:: "[.] Je ressentirois un véritable plaisir, si les circonstances me mettoient à portée de vous prouver l'estimé particulière que j'ai pour vous. Sur ce je prieDieu qu'il vous ait, Mon cousin, en sa Ste. et digne Garde [.]". - Countersigned by Pierre Jean Baptiste Beaugeard (1764-1832). - Right edge with four small incisions, a small blue arrow beyond the signature. De Romana republica, sive de re militari et civili Romanorum, ad explicandos scriptores antiquos. Utrecht, Abrah. van Paddenburg, 1777. 8º: pi1 *#8 2*#2 A-2H#8 2I#6, gepag. :  508 pp., gegraveerde titelpagina door L. Mulder naar G. Hoet, met een uitslaande plattegrond van Rome en 12 platen, warvan 7 uitslaand. Perkamenten prijsband met stadswapen van Arnhem in goud. Blijkens de handgeschreven prijsopdracht werd het boek op 14 maart 1791 toegekend aan Jan Busgers bij diens overgang van de vierde naar de derde klas. Rector van de Arnhemse Latijnse school was toen D.A. Jacobi. 'De Romana republica' geeft een overzicht van de geschiedenis van Rome, van de inrichting van het leger, het bestuur van het rijk en van het gewone burgerleven. Daardoor was het een erg nuttig werk voor gymnasiasten en dus ook heel geschikt als prijsboek voor uitblinkende scholieren. Auteur is de Franse jezuiet Pierre Joseph Cantel of Cantelius (1645 - 1684), de eerste druk verscheen in 1684 te Parijs. De eerste eigenaar van dit exemplaar was waarschijnlijk de omstreeks 1778 te Nijkerk geboren Johannes Busgers, die later in Arnhem werkzaam was als advocaat-notaris en daar in 1831 is overleden. "L'HOMME, DE; VAN STIJGEREN AMSTERDAM, WEET-LUST. Fraai gebonden handschrift `Gedichten door Jan Louis l'Homme', met op het titelblad een getekend silhouet en de regels `Zie 't schaduwbeeld mijns mans, door mijne hand getekend / Bezat mijn kunst meer kragt dan was het fiks en spreekend / Dog die dees mengeling van dicht tafreelen leest / Ontdekt een juiste schets van 's mans verheeven geest / Anna Jacomina de L'Homme, gebooren van Stijgeren.' Groot 4(: 158 p., gebonden in halfleer met op de vergulde rug: `Gedichten door Jan Louis de l'Homme'. Het betreft de periode 1773-1797.". "De gedichten werden bijeengebracht, gerangschikt op onderwerp en in net geschreven door Harmanus Sas. De L'Homme blijkt bevriend te zijn geweest met Hendrik Hooft en was lid van het `Colleegie', ook genoemd het `weetenschap- en dichtlievende gezelschap' Weet-Lust. Jan (of Jean) Louis de L'Homme was volgens het poorterboek van Amsterdam diamantslijper. Genoemd worden in de gedichten: een zoon Hendrik, dochter Anna Louise, Harmanus Sas, gehuwd in 1791 met Christina de Swart, schoonvader Fredrik van Stijgeren, schoonmoeder Appolonia (de) Pijper, Anna en Tellawiena van Stijgeren, Elisabeth Stuart, Jacobus A. Jourdanij, gehuwd in 1773 met Henrietta van Gessel, Jan Fredr. Getsch, in 1788 gehuwd met Engeltje de L'Homme, Jan Jacob Huis, in 1790 50 jaar gehuwd met Elisabeth Vinnius; Jacques Ledan.". Wien 1791,. Gestochen von Ignatz Albrecht, komplette 1. Abteilung des 2. Teils dieses Werkes, 336 handkolorierte Landkarten, (Nummern 92-427), Übersichtskarte Europas, 2 Titelseiten u. 2 Blätter des Anzeigers; Karten betreffen heutige Staaten Deutschland, Österreich, Schweiz, Tschechien, Belgien, Luxemburg, Liechtenstein, Teile Polens, Sloweniens, Italiens, Frankreichs, der Niederlande; alle Karten handkoloriert, mit Nummern, Beschriftungen und nötigen Angaben, eigene Maßstäbe; OLdr., Einband auf 5 Bünde, 30,5 x 44 cm (quer 2°), Karte mit Nrn. 303, 266, 215, 180, 177, 176, 175 u. 160 etwas größer u. an den Rändern gefaltet; Deckel mit leichten Wurmfraßspuren, Deckelkanten leicht abgeschürft, am Rücken Signaturschild, Signatur oben auf Vorderdeckel, Deckelklappe eingerissen, fliegende Blätter der Vorsätze geknickt, auf beiden Titelseiten kaum sichtbare Stempel ("Schloss Lissa"), nur Karten 423-427 und Blätter des Anzeigers u. hinterer Vorsatz in der Mitte befleckt, hinterer Vorsatz mit kleinem Loch, sonst schön, fest, sauber, altersgemäß in perfektem Zustand..
Madrid Imprenta Real 1791 - Encuadernacion moderna con la espalda original con titulo y ornamentacion floral, Moderner Buchbinder-Halbledereinband mit Lederecken und aufgeklebtem Originalrücken mit Titel u. floralem Muster in Golddruck, miteingebundenen Originalvorsätzen, Seiten und Tafeln durchgängig mit einigen Wurmlöchern, Introduccion zwei Blätter stockfleckig, Titelblatt und die ersten 8 Blätter mit Wasserrand im Randbereich, Titelblatt mit Wappenkupfer und Aufschrift "Espinoza Callao febrero 1°/73". XXIII, 386 Seiten und 23 gefalteten Tafeln und Lamina A, 4°. Primera y unica edicion. First and only edition of this work on a ship's accoutrements, including rigging, blocks, rudder and capstan. There are also long sections on the shape of the hull and how it moves through the water.Encuadernacion elegante con la espalda original del senor Espinoza de Callao/ Peru con XXIII, 386 paginas y 23 tablas y la lamina A en un estado limpio y regular. Entre 1735 y 1744 es comisionado por el gobierno español para participar, junto a Antonio de Ulloa, en el viaje de La Condamine a Perú para efectuar la medición del grado del meridiano terrestre. Las experiencias y resultado del viaje son publicados por ambos a su vuelta a Madrid, en la "Relación histórica del viaje a la América Meridional", las "Observaciones astronómicas y físicas", en las que se hizo cargo de la parte matemática, y las "Noticias secretas de América", ensayo realizado por encargo del marqués de la Ensenada y en el que se criticaban los abusos y desmanes cometidos por la administración española en América contra los indígenas. Prohibido, el libro no fue publicado hasta 1826 en Londres, por David Barny. Interesado en la ingeniería naval, se desplazó a Londres para conocer las técnicas constructivas y proyectó y dirigió los arsenales de Cartagena y Ferrol. Recibió el cargo de capitán de la Compañía de Guardiamarinas en 1751, estableciéndose en Cádiz. En esta ciudad fundó el Observatorio astronómico y la Asamblea Amistosa Literaria, sociedad de discusión sobre temas de física, geografía, etc. En 1767 fue durante seis meses embajador extraordinario en Marruecos, encargándosele en 1770 la dirección del real Seminario de Nobles. Para esta institución realizó una reforma del plan de estudios y redactó su "Examen marítimo teórico-práctico", utilizado como manual. Paris: Chez Buisson. 1791. First. First edition. pp., with pages 204-207 misnumbered as 360-363, as issued. Text in French. Contemporary brown half calf and pastepaper boards, elaborately gilt on the spine with a floral pattern. Very slight rubbing at the joints, one page with a paper flaw causing a small wrinkle, but a bright and just about fine copy. 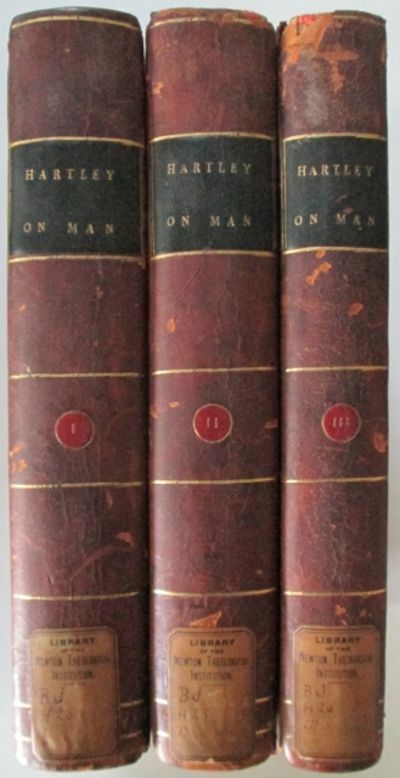 Franklin's famous Autobiography, the French edition preceded both the American (1793) and English (1794) editions. Howes F323; Streeter Sale 4171; Grolier American 100, #21. An exceptional copy. .